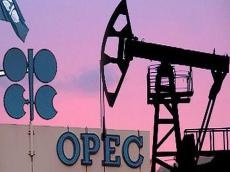 Instead of Venezuela, Algeria and Oman, the inclusion of the United Arab Emirates, Iraq and Kazakhstan into the committee is being discussed, three sources in the Middle East delegations of OPEC + and the OPEC Secretariat said. The new composition of the ministerial committee on monitoring OPEC+ deal implementation on the eve of its meeting in Baku on March 17-18 has not yet been approved. According to the sources, Venezuela, Algeria and Oman, previously included in the monitoring committee, "are no longer members of the committee," and the ministers of Algeria and Oman will not come to Baku. At the same time, the UAE and Iraq, which are supposed to replace Algeria and Venezuela in the committee, can take part in the meeting. The issue of electing new members is likely to be discussed at an extraordinary meeting of OPEC + ministers in April, the agency said. Saudi Arabia and Russia, which act as chairman and co-chairman of the monitoring committee, retain their status. At the same time, instead of Oman, who participated in the work of the committee from non-OPEC countries, it is proposed to nominate Kazakhstan, which had previously confirmed its willingness to work as a member of the committee. Venezuela is expected to take part in the meeting in Baku, however, not as a member of the committee, but as an OPEC conference president, which it was elected for 2019. According to TASS sources, the agenda of the upcoming committee meeting in Baku has not yet been approved. It is not clear whether the issue of extending the deal to reduce production or increase the quotas of the participating countries will be discussed. The main issue on the agenda is likely to be a discussion of the charter on cooperation between OPEC + countries, one of the agency’s interlocutors believes. The monitoring committee includes ministers from six countries - Russia, Saudi Arabia, Kuwait, Venezuela, Algeria and Oman. The committee reviews market development scenarios and, on the basis of this analysis, makes recommendations to OPEC+ countries on the necessary actions. The work of the committee is supported by the technical monitoring committee, which presents to the ministers the current market analysis and options for its development in the implementation of a particular scenario. Thus, at the January meeting, experts considered two scenarios: what the market would be if the agreement was terminated in June and if production continued to decline until the end of 2019. According to their forecast, which TASS has familiarized with, in the first variant, the commercial oil reserves of the Organisation for Economic Cooperation and Development (OECD) countries will exceed the average five-year rate by 170 million barrels by the end of the year. The second scenario assumes that the agreeement will be extended until the end of 2019. In this case, the oil reserves in OECD countries by the end of the year should be 50 million barrels below the average for five years level. In accordance with its Statute, the mission of the Organization of the Petroleum Exporting Countries (OPEC) is to coordinate and unify the petroleum policies of its Member Countries. In addition, it ensures the stabilization of oil markets in order to secure an efficient, economic and regular supply of petroleum to consumers, a steady income to producers and a fair return on capital for those investing in the petroleum industry. OPEC+ refers to OPEC’s cooperation with non-OPEC oil producers to effect production cuts. In an attempt to cut production and raise oil prices, OPEC came together and agreed on a production cut where each member country would cut production by a small amount, a couple percent in most cases. OPEC was able to reach a consensus for production cuts not just between OPEC members but also for a handful of non-OPEC nations just increasing the total amount of oil production being cut and presumably making their efforts more effective. Whether these non-OPEC countries will follow through with their agreement or work with OPEC in the future remains to be seen.